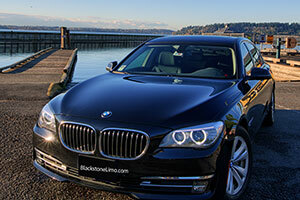 Blackstone was one of the first livery companies in the area to offer an alternative to the sedan. Sometimes you have a few more than 2 people but not enough to merit a corporate van. The Expedition is the solution. Large enough to comfortably sit 3 across each of its back rows this luxuriously appointed SUV has the capacity for luggage and/or people that the sedan wasn’t designed for. 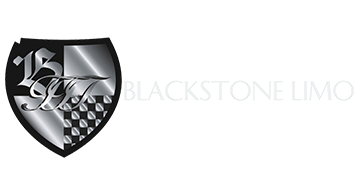 From the business meeting to the ball game we provide discreet, courteous and professional service wherever you want to go. The SUV provides a luxurious ride our customers deserve. 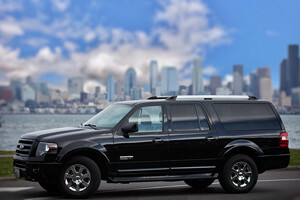 We offer a personalized door-to-door service that includes a friendly chauffeur waiting inside baggage claim to assist. Our chauffeurs are easy to locate because they hold a sign with your name on it. 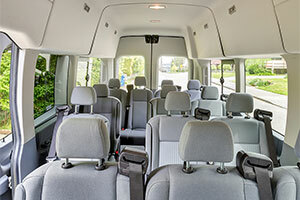 The 14 passenger Sprinter-style Transit-Van has 14 passengers AND room for luggage for 14. No more of that hunched-over people-shuffle, because Transit is 6’5″ inside, allowing passengers to get to their seats while still in the upright-position.